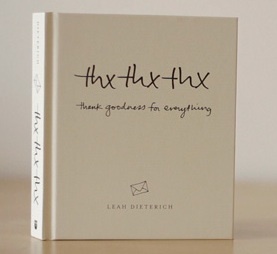 thxthxthx is a book! like the blog, the book it's a collection of thank you notes written to all the people, places and things in life. it's not only "an exercise in gratitude" but a happy reminder that sincerity and a little bit of childlike wonder, go a long way. the book has one hundred new things to be thankful for. check it out!